Throughout the ages various prophets have sought to warn the populace about the periodic passage of Nibiru. The Pole Shifts of the past have been depicted, and the coming Pole Shift laid out as a warning. The sequence of events is presented, but the timeline is routinely missing. 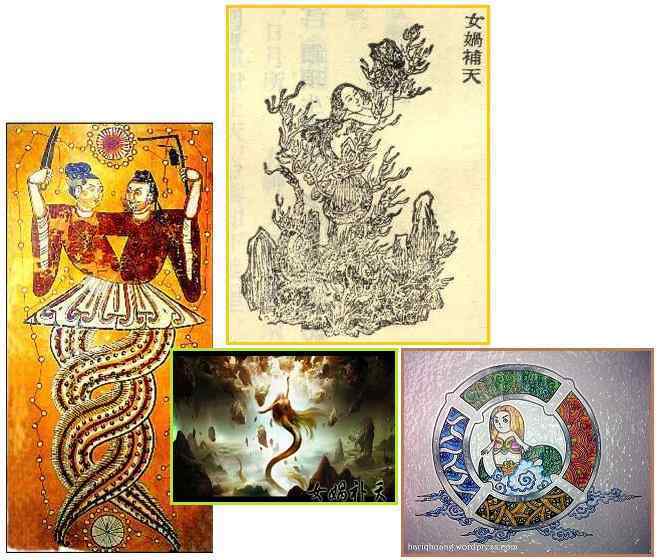 These warnings are often allegorical, or depicted in myth as a story populated with fantastic characters. In many cases the warning is passed down as a verbal story, or allegorical, but can be deciphered. 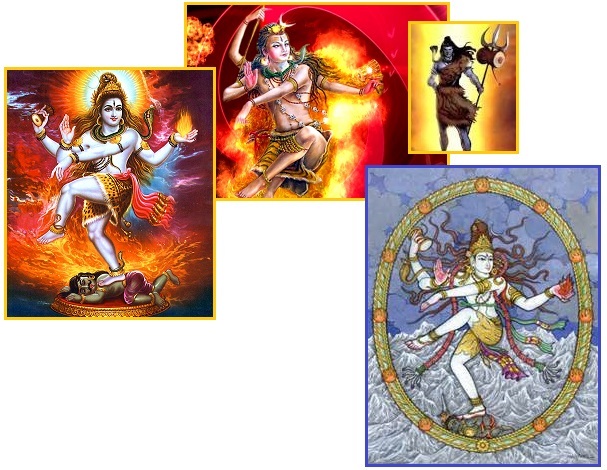 In India the god Shiva - the god of Destruction and Renewal - represents Nibiru. Kali - one of his wives who has a dusky blue color - is the Earth's Dark Twin. The name Kali means black, time, death, lord of death. Kali is represented as the consort of Lord Shiva, on whose body she is often seen standing. Kali is portrayed mostly in two forms: the popular four-armed form and the ten-armed Mahakali form. In both of her forms, she is described as being black in color but is most often depicted as blue in popular Indian art. The Hopi Indians also depict Nibiru and the Earth’s Dark Twin as the Red Katrina and Blue Katrina. Per the Zetas, the Earth’s Dark Twin comes up behind the Earth in their shared orbit, is pushed close to the Earth, but escapes from this crunch during the Last Weeks. This approach and drama is described in the Hopi prophecy. 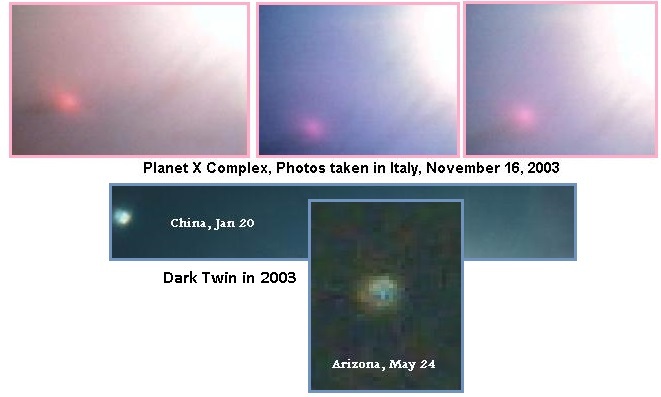 The Dark Twin has been captured on film with its blue color, and Nibiru routinely appears red due to being shrouded by red dust. When the Blue Star Kachina makes its appearance in the heavens the 5th world will emerge. This will be the day of Purification. It will come when the Saquasahuh (blue) Kachina dances in the plaza and takes off his mask. In the final day we will look up in the heavens and we will witness the return of the two brothers who helped create this world in the birthing time. The twins will be seen in our northwestern skies. The return of the Blue Kachina who is also known as Nan Ga Sohu will be the forewarning that tells us there will soon be a new day, new way of life and a new world coming. When the Purifier comes we will see him first as a small red star which will come very close and sit in our heavens watching us. This Purifier will show us many miraculous signs in our heavens. Then one morning we will awaken to a Red Dawn. The sky will be the colour of blood. ZetaTalk Explanation 9/3/2011: Before the Dark Twin escapes the cup it will be close enough that sunlight reflected from its surface will bounce toward the Earth and be seen on the night side of Earth - a blueish star! The Hopi prophecy also refers to this drama, which is likely to occur either within or close to the Last Weeks. In Finland there is an End Time prediction about flooding, which is understandable due to Finland lying at the end of a bay where ocean sloshing will wash water ashore. The Norse God, Heimdallr, would blow the mythical Gjallerhorn during a time of very cold winters to warn of the Viking apocalypse. 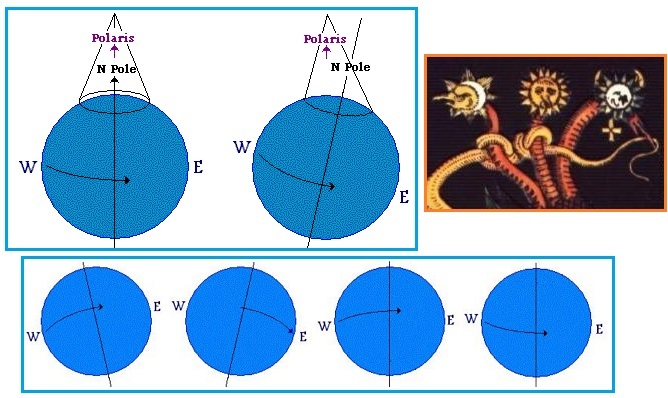 And in China, the Nuwa Legend describes the globe tilting during past Pole Shifts so the Sun and N Pole appear in new locations. Where this is mythology, the directions given are so accurate they can be correlated with ZetaTalk descriptions of past shifts. 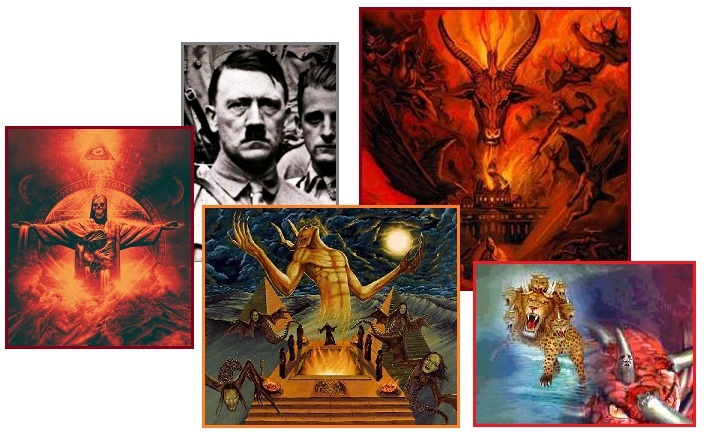 But in other cases, such as the descriptions in the Jewish Talmud or the Christian Bible or in the Egyptian Kolbrin or the Muslim Hadiths or the Buddhist Visuddhi-Magga or the Book of Enoch (omitted from the Bible), a written description is given. Where these warning seem to differ, they in fact are delivering the same message. One oft-repeated warning, in both the Hadith’s and the Talmud, is the Sun rising in the West for several days prior to a passage. In the Talmud, this is for a period of 7 days before the passage. In the Hadiths, the Sun rising from the West goes on for 6 days. And per the Zetas, this is within the Last Weeks but is some weeks before the actual hour of the Pole Shift. Where the length of time differs, the fact of the Sun rising in the West during the Last Weeks is consistent. Likewise, in both the Book of Joshua and The Twelfth Iman, a stopped rotation is mentioned, and the Book of Exodus refers to a dark day and the Earth turning over. Seven days before the deluge, the Holy One changed the primeval order and the sun rose in the west and set in the east. The Hour will not be established ... till the sun rises from the West. ... look at that time for a violent wind, an earthquake, being swallowed up by the earth, pelting rain, and signs following one another like bits of a necklace falling one after the other when its string is cut. The rising of the sun from the west one of the things which must happen. Between the decline of the sun (at noon) and the time of the afternoon prayer, the sun will remain still. And the sun stood still, and the moon stayed, until the people had avenged themselves upon their enemies. So the sun stood still in the midst of the heaven, and hasted not to go down about a whole day. Midday is no brighter than night. Ships were sucked away from their moorings and destroyed in great whirlpools…. The Earth turned over, as clay spun upon a potter's wheel. ZetaTalk Prediction 1/12/2008: The last weeks include, counting backwards, a week of rotation stoppage, some weeks of rotation slowing, 6 days of sunrise west, 3 days of darkness, a lean to the left, and a severe wobble. 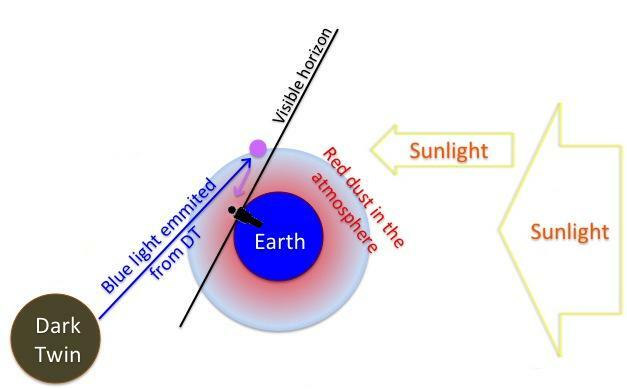 Another repeatedly mentioned sign of a pending passage of Nibiru is an Earth wobble. Rather than describe this in technical terms, as ZetaTalk has done, as a Figure 8 formed by the N Pole of Earth, this is described as a confused sky, the Moon moving too rapidly, stars out of place, and in general the populace not paying attention to these signs. The Kolbrin does an excellent job describing this, as does the Book of Enoch (which had been excluded from the Bible). The wobble has been with us since 2004, and is getting worse, but how we correlate all this with a time frame is not clear. Strange omens in the skies. When ages pass, certain laws operate upon the stars in the Heavens. Their ways change, there is movement and restlessness, they are no longer constant and a great light appears redly in the skies. The Heralds of Doom will appear. They will come softly, as thieves to the tombs, men will not know them for what they are, men will be deceived, the hour of the Destroyer is at hand. And many chiefs of the stars shall transgress the order (prescribed). And the thoughts of those on the earth shall err concerning them. 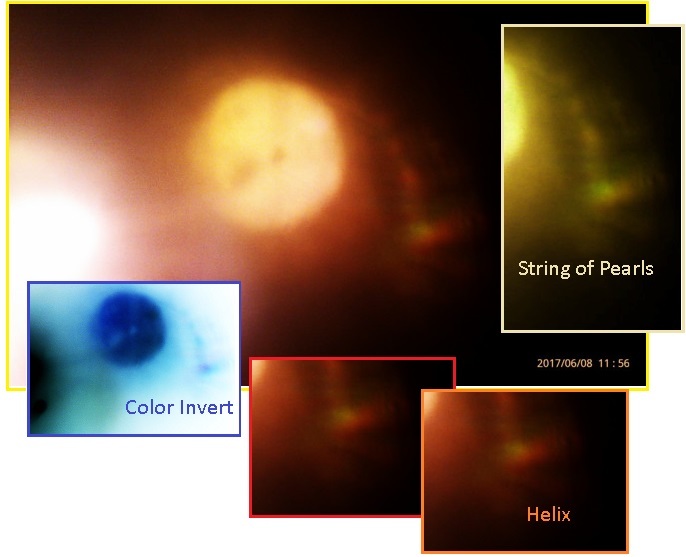 ZetaTalk Comment 5/4/2013: The Book of Enoch, which describes signs in the skies at the approach of Planet X, was discarded from the current version of the Bible because it would alert the public and frankly states that Nibiru exists. ZetaTalk Prediction 11/11/2004: This twirl becomes more extreme, as the hose of magnetic particles from the N. Pole of Planet X is turned more directly at the Earth. As has been noted by many, the Moon presently has a tilted face and extreme orbit. Pictographs from the Middle Ages also show the Moon turning his face away from Nibiru. Other than giving the warning that these things precede a passage, we are not given a time frame. ZetaTalk Explanation 3/11/2006: The Moon, as a bead on the edge of the hat rim traveling around the hat, is seen in the extreme North during one part of the month, and at the extreme South two weeks later. Why? A turmoil, mostly present at the Ecliptic, which the Moon normally rides. The easy out for the Moon is to avoid the crowded lane, which it does by being too high, and then too low, for the majority of its orbit. The Kolbrin does give a time frame for the warning given to Noah. He took two years to build his arc, and noted the swift passage of the Moon across the night sky. This would likely indicate an extreme wobble, but again, an exact timeline is missing. They had knowledge of … signs and omens, the secrets of the seasons, of the moon and the coming of the waters. .. there were wise men filled with the inner wisdom, who read The Book of Heaven with understanding and knew the signs. … Then the day came when The Lady of the Night changed her garment for one of a different hue, and her form swept more swiftly across the skies. Her tresses streamed out behind in gold and copper, and she rode in a chariot of fire. ZetaTalk Description 8/15/1995: Uneasy, and being a highly Service-to-Other man, [Noah] gave The Call and received visits from a Spirit Guide who responded. He did indeed construct a boat to save himself, his family, and household animals. The story of Noah has been romanticized to include all the animals of the Earth, which doesn't take much logic to dispel. How big a boat was this? Where the wave was large, it did not cover the entire Earth. How could it? The descriptions of the passage itself, where Nibiru seems to stand between the Earth and Sun, red dust and debris and hail everywhere, earthquakes and tidal waves everywhere, is found in many sources. These descriptions encompass the Last Weeks and the hour of the Pole Shift itself. The Buddhist Visuddhi-Magga describes the debris in the lashing tail, as do the Books of Exodus and Revelation and the Kolbrin. 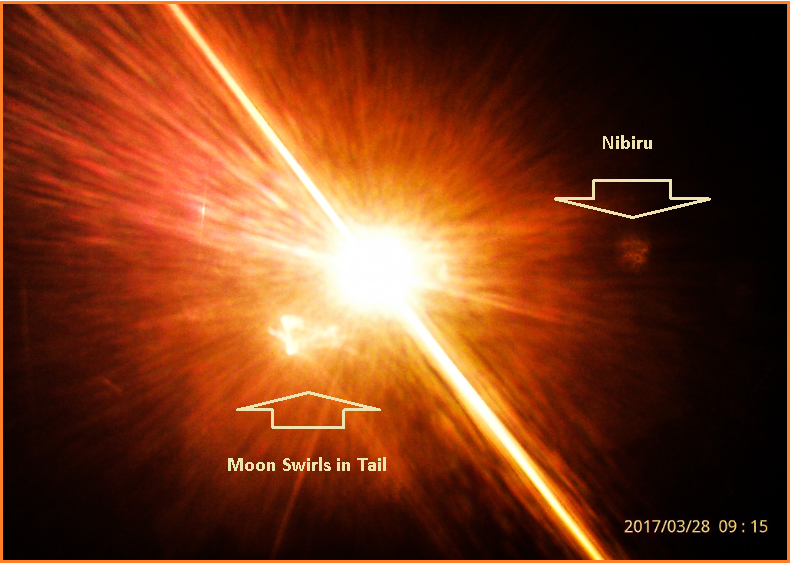 Red dust and fireballs have been on the increase steadily since Nibiru arrived in the inner solar system in 2003, but not the heavy gravel predicted for the hour of the Pole Shift. 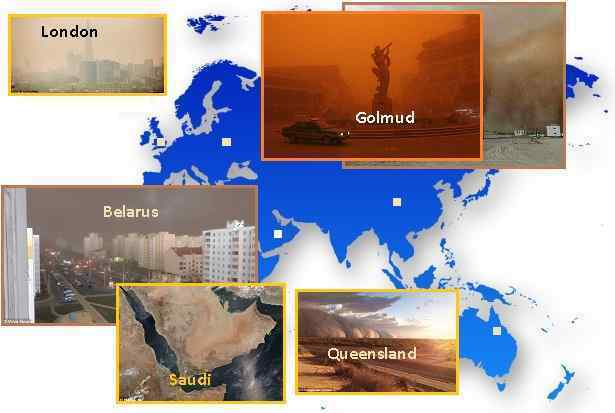 When a world cycle is destroyed by wind .. First it raises a fine dust, then coarse dust, then fine sand, then coarse sand, then grit, stones, up to boulders as large as trees. The river was bloody. The Earth was filled with redness. It twisted about itself like a coil. It remained close to the sun, whose face it hid. Then, with the dawning, men saw an awesome sight. There, riding on a black rolling cloud came the Destroyer, newly released from the confines of the sky vaults, and she raged about the heavens, for it was her day of judgement. The beast with her opened its mouth and belched forth fire and hot stones and a vile smoke. It covered the whole sky above and the meeting place of Earth and heaven could no longer be seen. Trumpeting is described, which was a confusing sign until trumpeting actually started happening in various places around the world in 2011. 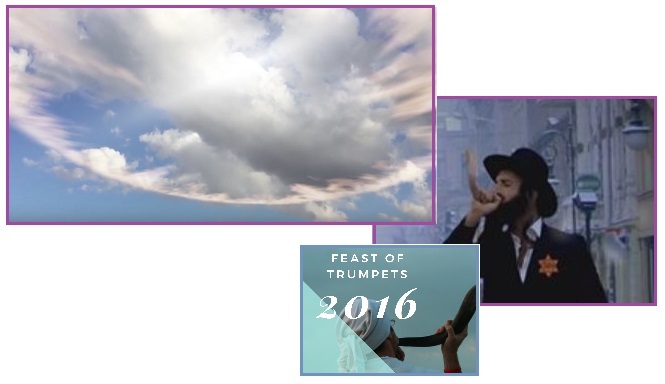 But it was the trumpets heard in Jerusalem in 2016 that got heads turning. Trumpeting was predicted in the Book of Revelations and in the Kolbrin, but once again, trumpeting alone cannot give us a timeline. The days of stillness were followed by a time when the noise of trumpeting and shrilling was heard in the Heavens, and the people became as frightened beasts without a headsman. … The Doomshape thundered sharply in the Heavens and shot out bright lightings. Then a voice like ten thousand trumpets was heard … The whole of the land moved and mountains melted. The sky itself roared like ten thousand lions in agony. And the seven angels which had the seven trumpets prepared themselves to sound. The first angel sounded, and there followed hail and fire mingled with blood, and they were cast upon the earth: and the third part of trees was burnt up, and all green grass was burnt up. ZetaTalk Explanation 5/29/2010: The last weeks are described in folklore or prophesied as being accompanied by trumpets, blasts of a horn. Of course, the human animal perceives sound because of air mass changes. What is the noise from a trumpet but a blast of air, vibrating at a certain frequency that humans have come to associate with a trumpet. Mankind is not familiar with thunderclaps in the upper atmosphere, although man is aware that lightning does occur up there. Due to the extreme friction caused by the wafting charged tail of Planet X, lightning discharge is humongous, with massive crackling discharge leaving the Earth's upper atmosphere. This creates voids in the upper atmosphere, which clap, causing vibration in the lower atmosphere where such vibration is interpreted by mankind as trumpets or horns. The frightening image of Nibiru in the skies, surrounded by his writhing tail (which is blowing toward the Earth during the hour of the passage) is described in the Book of Revelations and by Mother Shipton. This is accompanied by earthquakes and tidal waves. Red dust turning the ponds and rivers blood red is part of the horror. Edgar Cayce described the geological changes as a result of the Pole Shift, but once again, we are not getting a time fame. And there appeared another wonder in heaven; and behold a great red dragon, having seven heads and ten horns, and seven crowns upon his heads. And the third angel poured out his vial upon the rivers and fountains of waters, and they became blood. And there was a great earthquake, such as not since men were upon the earth. And every island fled away, and the mountains were not found. Man will watch this awesome sight. And earthquakes split the plain to shore. As the Dragons tail goes sweeping by. Of vegetation crisped on land. As to the changes physical again: The earth will be broken up in the western portion of America. The greater portion of Japan must go into the sea. The upper portion of Europe will be changed as in the twinkling of an eye. Land will appear off the east coast of America. There will be the upheavals in the Arctic and in the Antarctic that will make for the eruption of volcanoes in the Torrid areas, and there will be shifting then of the poles - so that where there has been those of a frigid or the semi-tropical will become the more tropical, and moss and fern will grow. ZetaTalk Comment 9/12/2009: Where there is a written record, such as the Egyptian record in the Kolbrin, many details are carried in the report. Even where the Bible implies a seven year period of plagues, the magnitude of droughts and crop failure or disease from depressed immune systems confuses the issue. The Kolbrin mentions that Noah began building his arc when the Moon turned copper and the moon moved swifly across the sky, implying a definitive wobble. Certainly there are reports of a copper moon today, and rapid movement of the Moon has been noted by some, but most of the populace seem oblivious. But can such correlation be used to extrapolate a pole shift date today? 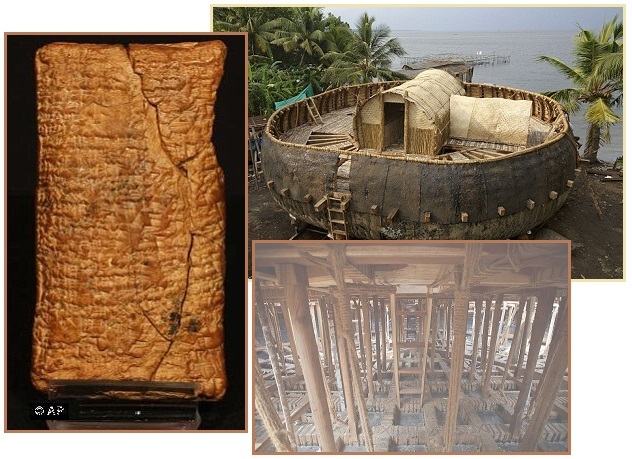 How long does it take to build an arc, and how swiftly did the Moon cross the sky to clue Noah that the time had arrived? The Kolbrin reports that during the Exodus that signs in the sky clued the populace that another pole shift was pending. Then there was a period of stillness, relative calm, when the populace was tense as they knew the prophecies and knew what was pending. Then the tail of Planet X, bringing red dust and hail, was upon them and social disruption and plague affected the populace. But the Kolbrin does not state how long a period passed between the signs in the sky and the horror of the last weeks. Then there is the mysterious 40 days prediction in the Hadiths. Prophet Muhammed predicted that a Fake Christ (which seems similar to the Anti-Christ of Christianity) would reign on Earth for 40 days, but this 40 days seems to equate to a year, plus a month, plus a week. Here we appear to have a timeline, but what could this mean? The Zetas provided an interpretation. The false Messiah (Dajjal) would live on earth for 40 days in which one day would be like a year, one day would be like a month, one day would be like a week, and all of his days would be like your days. ZetaTalk Explanation 6/10/2017: That said, what would Muhammed have been referring to in his reference to 40 days? “One day like a week” is referring to the stopped rotation of Earth, which we have predicted will last 5.9 days. This seems like a single day as the Sun stands still over part of the globe. “One day like a month” preceding that would be the Last Weeks. Excluding the Severe Wobble leading into the Last Weeks and the Rotation Stoppage at the end, our prediction includes 34 days, a month that includes 3 Days of Darkness and 6 days of Sunrise West. Meanwhile, the monster cometh. Nibiru has been described as a beast with 7 heads. Per Alberto’s latest photo, might this mean that the moons trailing closely behind Nibiru, forming a String of Pears, look like heads on a body?